(transitive) When you don’t have all of the answers or information about something and need to investigate further. To try to discover the facts about something, typically of a problem or situation. 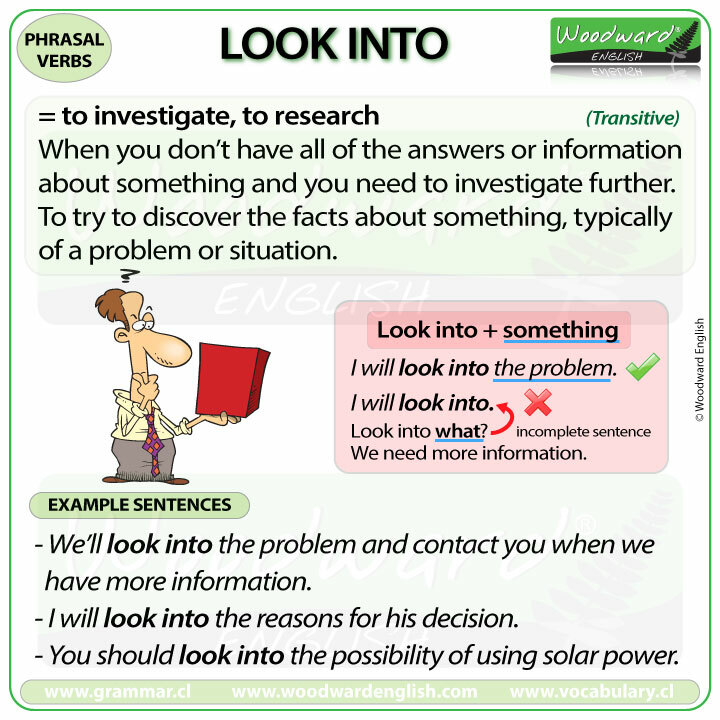 Synonyms are examine, explore, or probe. We need to look into the reasons behind why half the class failed the exam. The doctor received the test results but now needs to look into why my cholesterol levels are so high. We’ll look into the problem and contact you when we have more information. I will look into the reasons for the decision. We should look into the possibility of using solar power at our house.